This post will take a closer look of the content of the Smart Gateway and will give more information on the what and how. The logic of the Smart Gateway is build using a Apache Camel route in Spring XML. 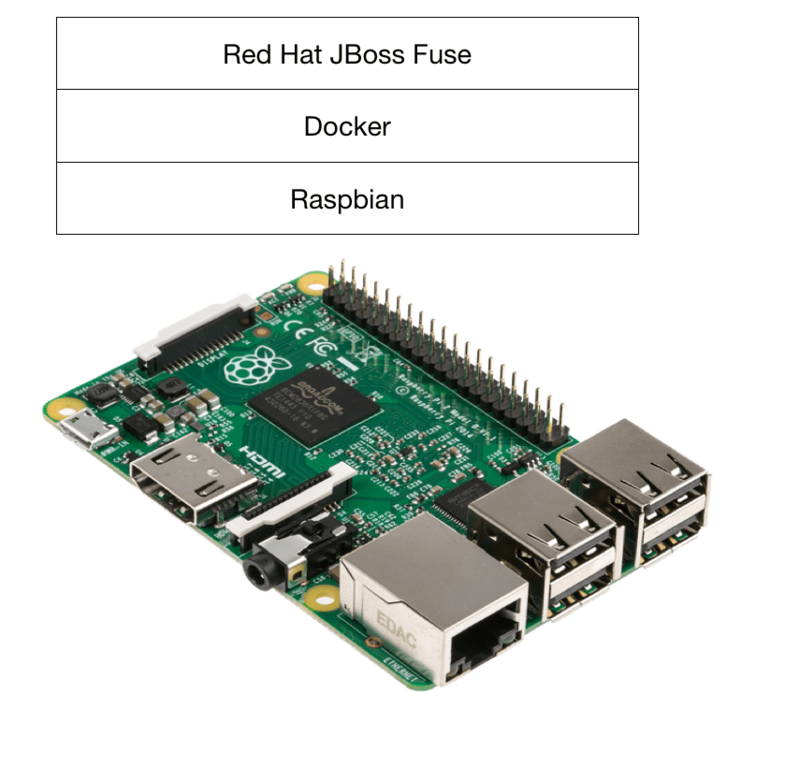 I have decided to use the JBoss Fuse based option, as I needed the Message-Broker from JBoss Fuse anyhow and also wanted to make use of the management and monitoring capabilities of JBoss Fuse. The complete sourcecode of the Smart Gateway can be copied from my Github repository. This code uses the mqtt component of Apache Camel and listens on the topic ‘iotdemo/#/#’ for incoming messages. The ‘#’ are wildcards, enabling the Gateway to receive messages on any topics conforming to this naming convention. In our case the first ‘#’ stands for the type of sensor ( e.g. temperature, humidity ) and the second one for the unique id of the sensor/device. The received message and all it’s Meta-Data is forwarded to a custom Java Bean for processing. In this case it will take the CSV value from the payload of the MQTT-Message and extend it with details from the name of the MQTT-Topic on which it was received. We will take a look at this bean later on in this post. Now that our helper bean has extended the CVS value with all relevant information, we can use the Apache Camel bindy component to unmarshal the CSV value to XML. To be on the safe/flexible side for further receipients of the message, I found it the most simple way to transform the XML based message to a String. In the last step of the Camel route, we forward the message to a Messagebroker on a remote system. As always with creating code, there are many ways to implement the same results. All member functions of any class annotated with ‘@Handler’ can be used within a Camel Route. Camel will call those Handler and hand over the ‘body’ of the message and the ‘Exchange‘ , holding the information during the entire routing of a Message. Within the custom function you can do whatever Java permits you to do with the message, it’s meta data, etc. I’m well aware that this is a rather simple setup, but it very neatly shows the idea and concept of how one could implement a Smart Gateway.